What better way to train yourself to America’s Best Dance Crew or So You Think You Can Dance, than to dance on Sport Court’s Dance Flooring. We are the undisputed champ for dance floors! Sport Court Dance is an economical, portable flooring system that allows you to transform almost any space into a ballroom. Dance flooring can be used over a variety of sub-surfaces, including wood, carpet, concrete, or almost any other flat, firm surface. 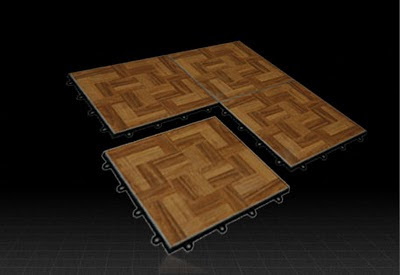 Create a parquet design in oak or teak, black and white checkerboards, or any number of other designs into an attractive and functional pattern. -Aluminum oxide wear layer that is scuff resistant, easy to clean, and provides a longer lasting dance surface. 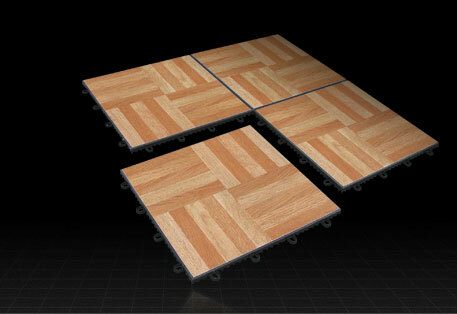 Teak: exotic wood look that brings a touch of class to your dance space. 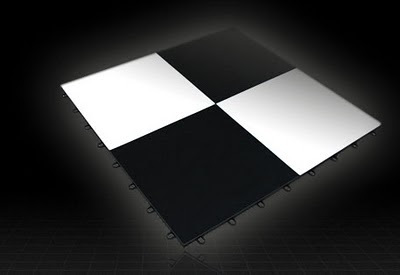 Black & White: With our brilliant white and slate black tiles, you can create a checkerboard pattern with individual tiles or blocks, or create large blocks of one color with a contrasting border. This would look great as garage flooring or in a home gym!